‘Tis the season for holiday gift giving! There’s still plenty of time to make a list and check it twice but we’re all about making things simple. We created a 2018 Holiday Gift Guide for people that just really love tacos and burritos. We can’t blame them… but you can’t exactly wrap a burrito (except in foil) and we don’t recommend you put a taco under a tree. 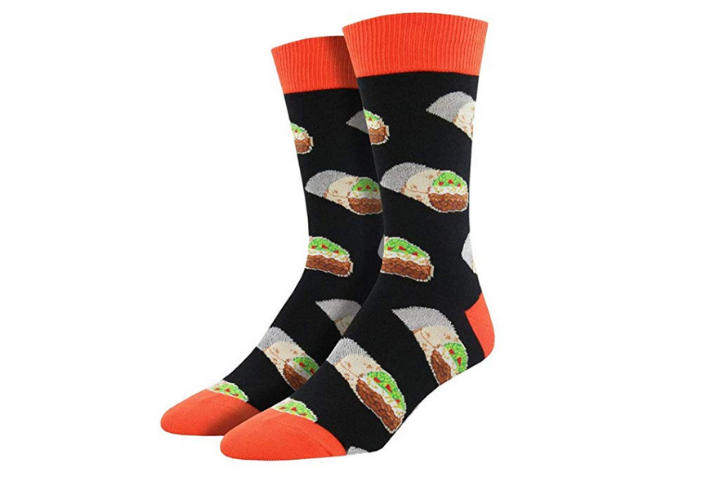 It can be hard to buy gifts for the ‘person that has everything’ but surely they don’t have a tortilla blanket or burrito socks? 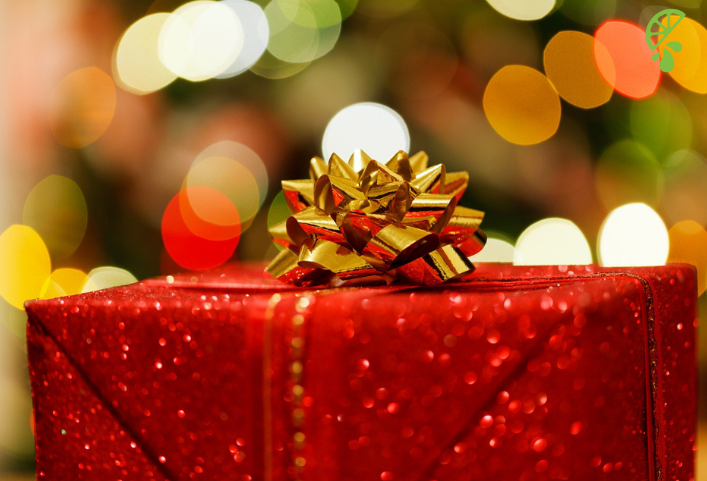 We pulled together a list of our favorite holiday gifts from around the internet just for you! Browse our 2018 Holiday Guide and prepare to check EVERYONE off your list. Taco lovers don’t hide their love and affection, so why not stand up, be proud, and OWN IT. 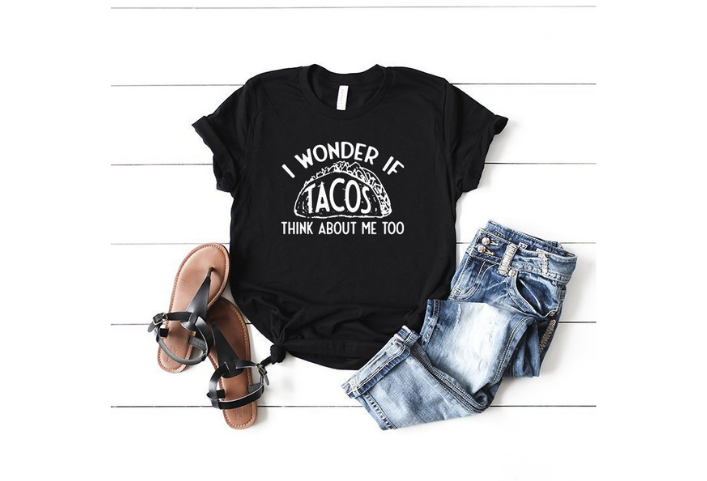 This shirt makes the perfect holiday gift for any age taco lover. Available here via PennyDeanCo/Etsy. Burritos get to be warm and toasty when wrapped in a tortilla – why can’t we? 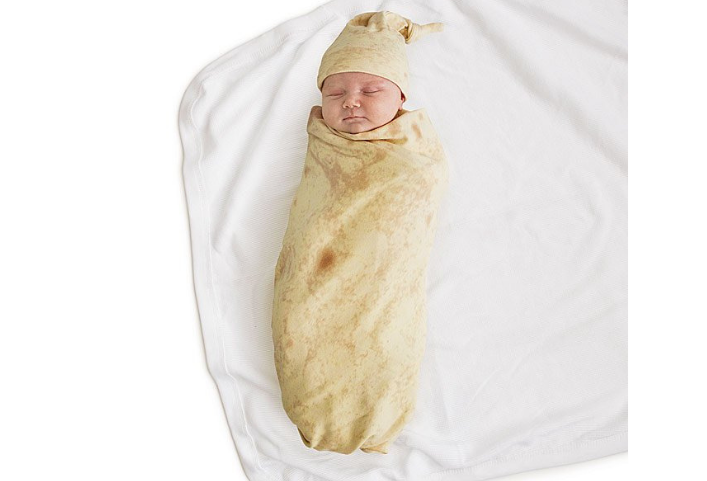 This blanket looks just like a tortilla and if it were up to us, we’d be wrapped up in this all day. At least it’s on brand? 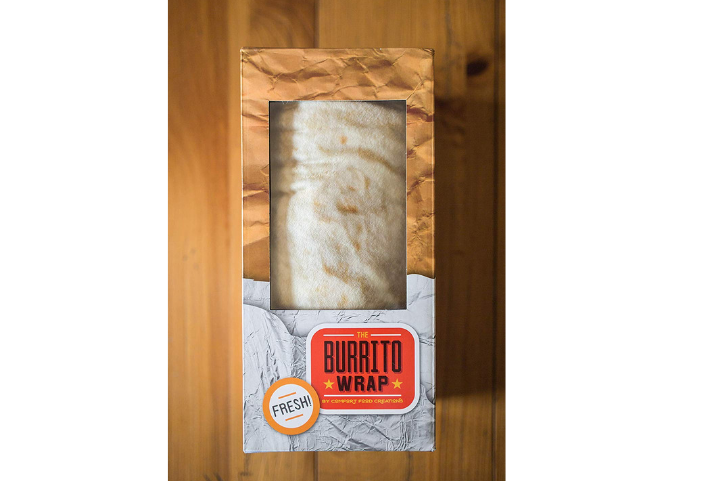 Get your Burrito Blanket Wrap via Comfort Food Creations here. 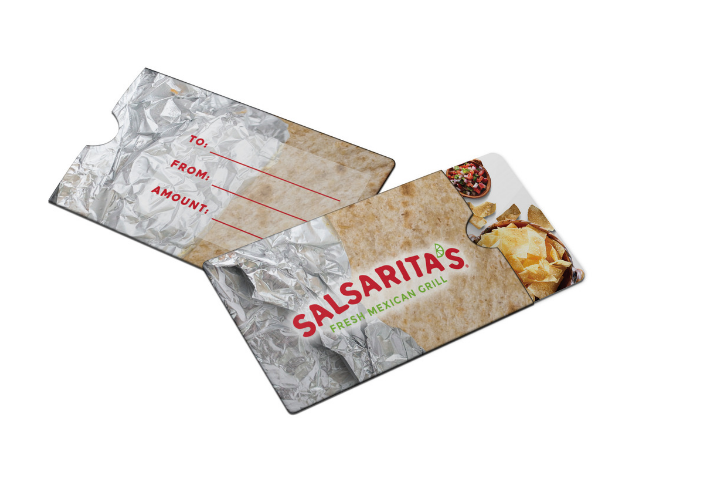 Taco ’bout a great gift! Keep your favorite tacos upright and look really cool doing it. 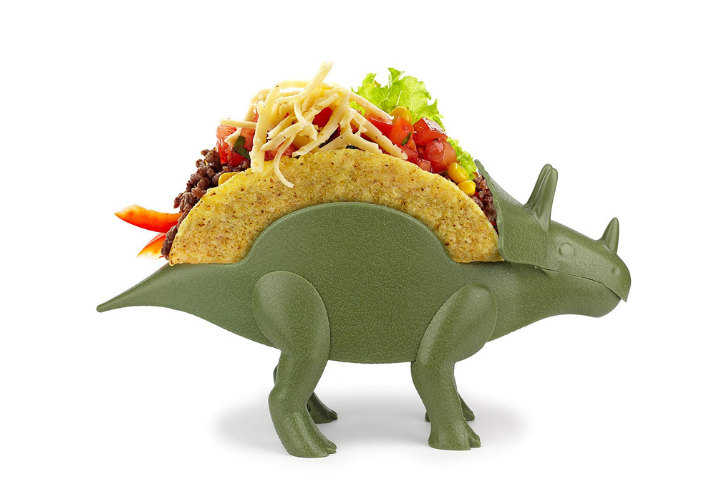 The only thing extinct about this TriceraTaco is the thought that only kids can use it. Get yours via KidsFunwares/Amazon here. 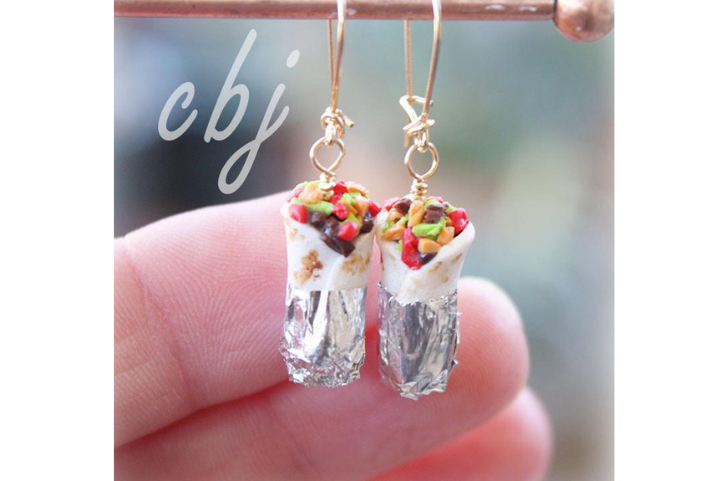 The perfect holiday gift for that one person that wants to (not-so-subtly) show off their taco obsession. 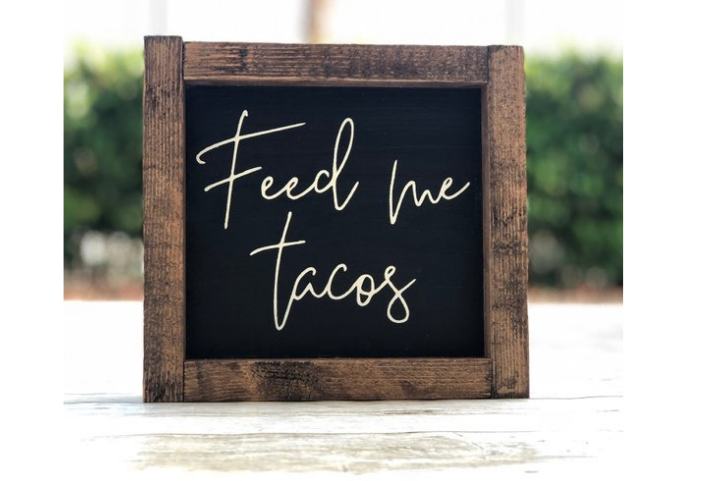 Deck their halls with this handmade Feed Me Tacos sign available here via OneLittleDesignCo/Etsy. Give the gift of being hostess with the mostest. 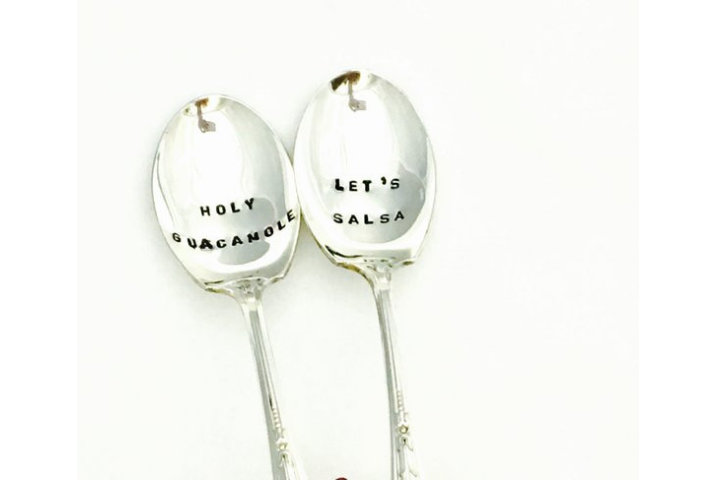 If your friend is known for their fiestas, these serving utensils are the perfect addition to their kitchen. Plus, it’s a little hint for them to throw more dinner parties.. win/win. Get your serving set via Studiobytheshore/esty here. Oh the weather outside is frightful, but tacos are so delightful. Keep them warm when they’re on the go- and maybe they’ll buy you a taco. 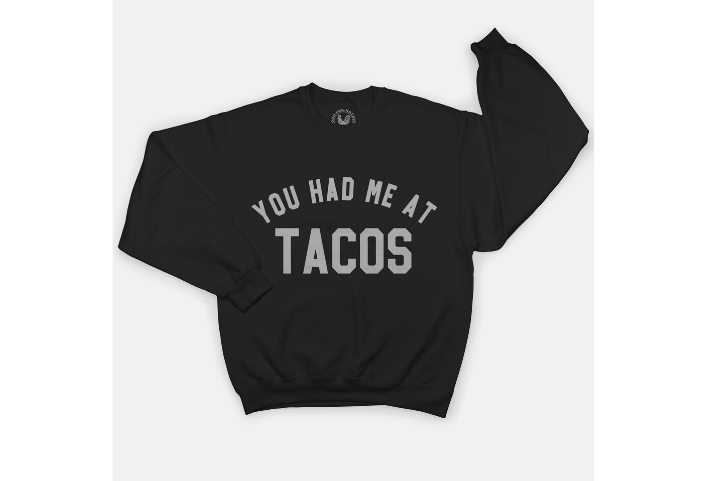 Get this Taco Sweatshirt via GoodForNothingStudios/Etsy here. Speaking of staying warm, don’t forget about socks! Although it’s commonly thought that giving someone socks as a holiday present is a bad idea, we disagree. Especially when said socks are covered in delicious burritos. Move your feet on over to Amazon to pick up these socks. You can’t go wrong with headphones for any age, but when you add tacos to them it’s a guaranteed Best Gift Award. You’re welcome. 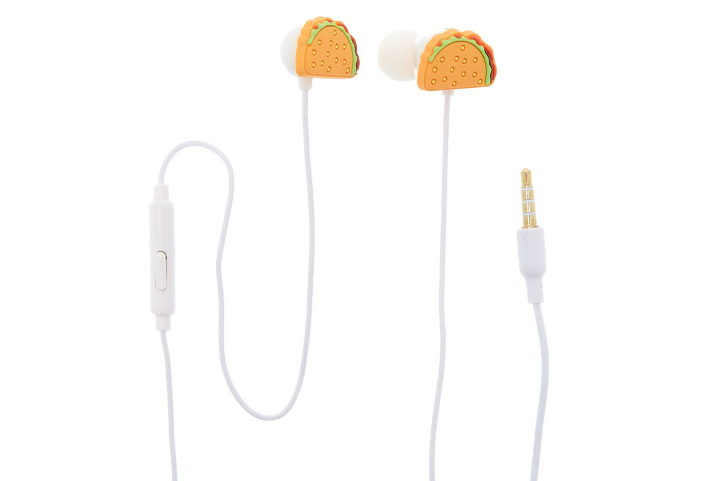 Pick up these taco headphones here via Icing.